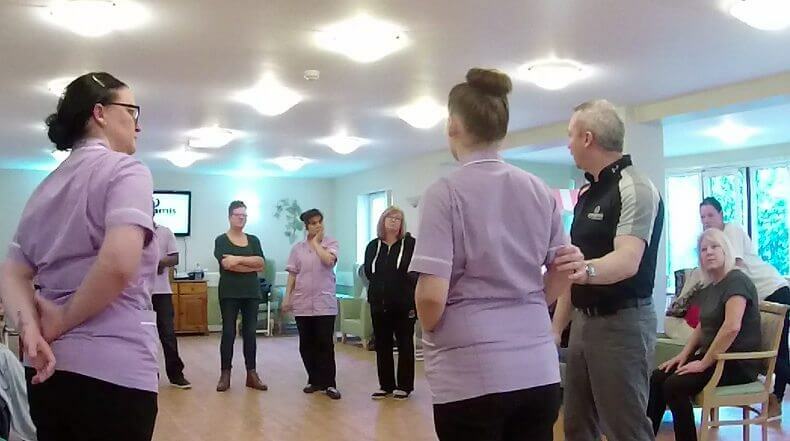 Our contextualised and scenario-based training programme is highly rated and regarded, and we rolled it out with great success for this nursing home. The team for whom we brought this training are looking after vulnerable older people who sometimes present with surprising, unpredictable or violent behaviour which could harm themselves or another in their nursing home. Our specialist trainer taught using our blended (online / in-person) format, covering both Safe Caring and Safe Holding. The course attendees engaged with our online learning portal which covered subjects such as “Understanding Duty of Care” and the legal issues surrounding restraint and holding and as you can see, the home manager was delighted with our approach.